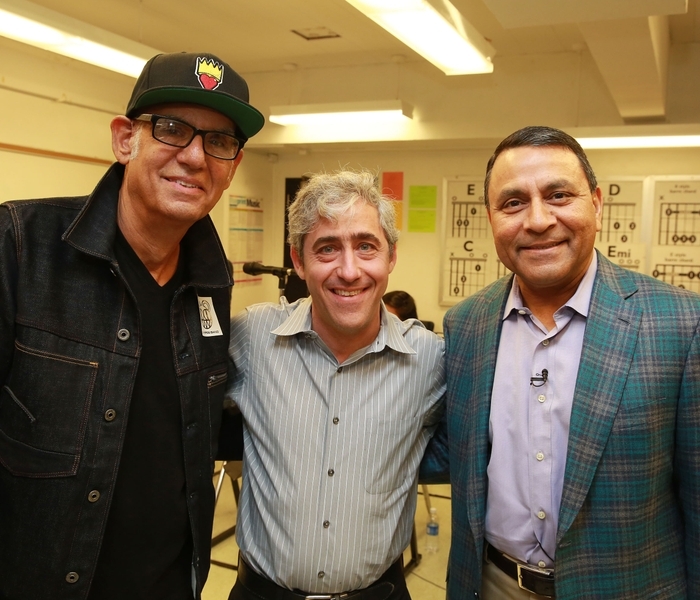 HARMAN and Little Kids Rock CEOs kick off program in Brooklyn to deliver music tech gear to students; additional donations in Dallas, Los Angeles and Nashville to follow. New York, NY – HARMAN, the premier connected technologies company for automotive, consumer and enterprise markets, and Little Kids Rock, a national music education nonprofit, announced a partnership today to strengthen music education nationwide in inner-city public schools nationwide by funding the development of a new music technology curriculum developed by Little Kids Rock. To kick off the official launch on October 1, Dinesh Paliwal, Chairman, President and Chief Executive Officer of HARMAN International, will join David Wish, Founder and CEO of Little Kids Rock, at Juan Morel Campos Secondary School in Brooklyn, NY, to surprise students with a donation of music gear in support of the school’s music program. Today’s public schools are faced with budget cuts that have forced many to close music programs, and schools in low-income communities are disproportionately affected. In fact, the most recent Department of Education survey found that, in 1999, 100 percent of school districts with a majority of "free or reduced lunch" students had music programs, but this decreased to 81 percent by 2012. Little Kids Rock looks to tackle this challenge by providing free music instruction, musical instruments and teacher training, to public schools across the country. With HARMAN’s support, Little Kids Rock will hire a HARMAN Technology Education Fellow to develop a brand new technology curriculum for the Little Kids Rock network. This curriculum will be used by the nearly 1,500 public school teachers who have been trained and equipped by Little Kids Rock to run its innovative Modern Band program in schools, which teach kids to play, compose and improvise the popular music styles that are culturally relevant to them. 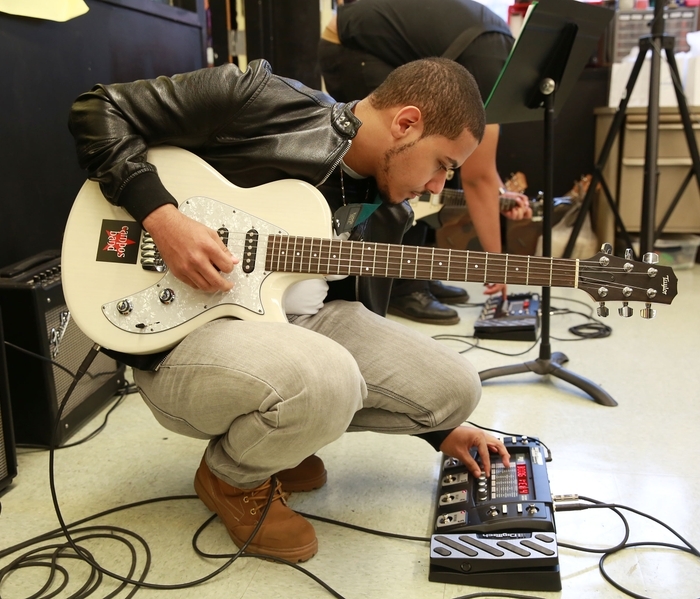 As part of their commitment to bringing music education to underserved communities, HARMAN will also donate professional grade equipment from its extensive portfolio of top brands to Juan Morel Campos Secondary School, and to three additional schools across the United States in the month of October. The students at these schools will benefit from equipment including: AKG® microphones and headphones, DigiTech® switching systems, Soundcraft® mixing boards and a JBL® portable AV system. "The world of music does not stand still; nor should the world of music education," said Little Kids Rock Founder and CEO, David Wish. "Technology and music have merged rapidly over the past decade, and thanks to HARMAN's support, Little Kids Rock will soon be able to educate students in things like electronic music production, sound mixing, recording, and many other technological innovations that expand when, where and how we make music." 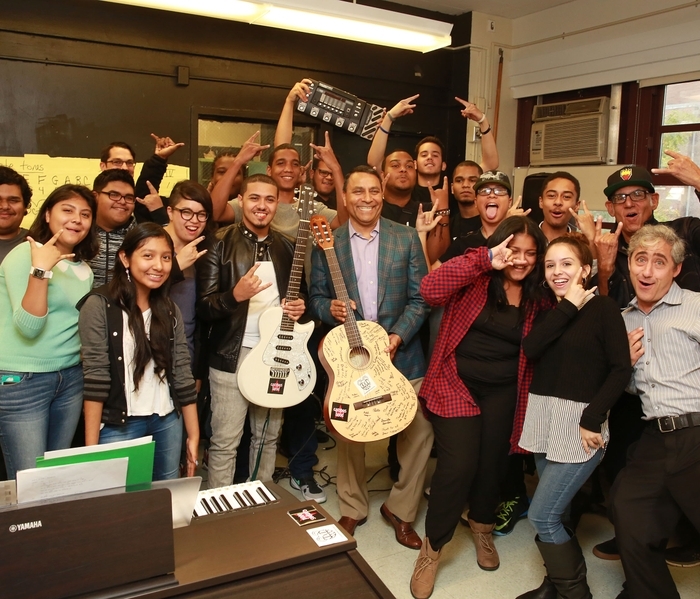 To celebrate the launch of HARMAN’s partnership with Little Kids Rock, representatives from each organization, including Harman CEO Dinesh Paliwal and Little Kids Rock CEO David Wish, visited the Juan Morel Campos Secondary School in Brooklyn, NY this morning to deliver the donated product and instruments. HARMAN will continue to support the band program at Juan Morel Campos Secondary school throughout the year providing opportunities to perform at the HARMAN New York Flagship store on Madison Avenue and corporate functions.